The new BMW 6 Series Coupe took its veil off at the 2010 Paris Motor Show and in our opinion, the design came as a relief to those who were concerned BMW is going down the path of safe and conservative designs. While more of an evolutionary design, the new 6 Series Coupe brings a lot of unique design lines and sets the stage for the revolutionary 6er that will come in 7 years from now. 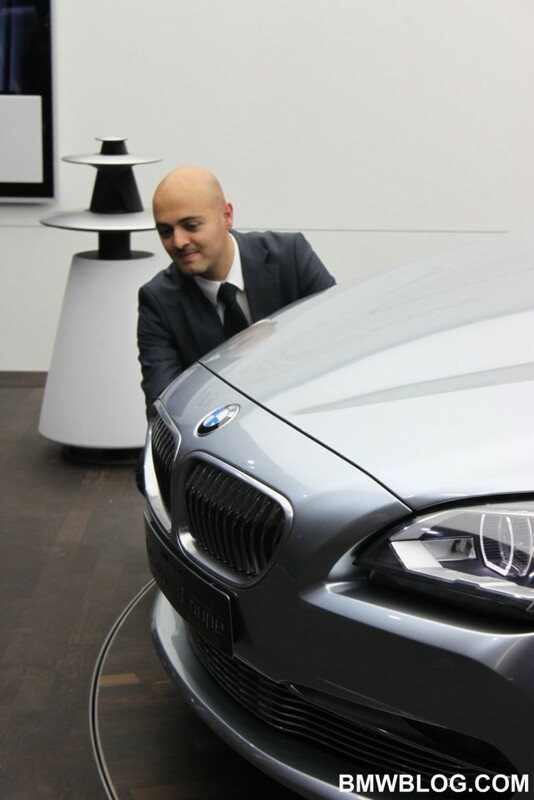 To learn more about the car, its philosophy and design challenges, BMWBLOG spent some time around the car and in-car with the young and talented Nader Faghihzadeh, Exterior Designer of BMW 6 Series Coupe and Gran Coupe, as well as the man that draw the 7 Series interior. BMWBLOG: Gran Coupe and 6 Series Coupe – how did you get to design both models? Did you compete internally for both cars? Nader Faghihzadeh: Actually, as a 6 Series designer, I started to take part into design competitions, so I was lucky enough to get the honor to design this car. There was also one more thing: we wanted to have the 6 Series family – you have the Coupe, the Cabrio and the Gran Coupe on top. So, the 6 Series as a series. BMWBLOG: How is it different to design the two cars? Nader Faghihzadeh: Both cars show that it’s a 6 Series. This is important. And the difference is in the character. The impression of body to a greenhouse creates the total different character of the whole car. And the functionality is a different thing, as well. It depends on what you want. The customer can get everything – if he wants something really new, as a Coupe interpretation, then maybe he chooses the four-door model. The two-door classic coupe is this car. 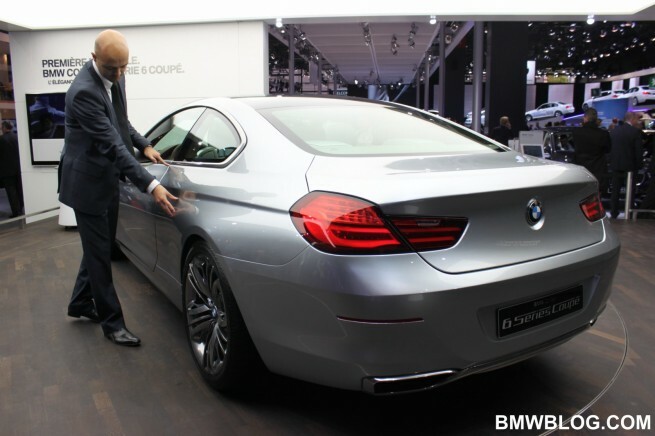 BMWBLOG: The exterior of the new 6 Coupe has a much more lean, muscular look over the outgoing E63 6 Coupe. Were there any specific design point to be addressed with the successor to the E63, which was highly acclaimed? Nader Faghihzadeh: At the beginning of the design phase, we had a briefing. Three words: the next 6 Series has to be athletic, elegant and modern. The next thing is to start with the philosophy of what should the 6 Series express? And this is our biggest coupe, this is the most luxurious and exclusive car we provide, and what I personally wanted was to bring a very fine line-work. It should be a very fine coupe, but in the same time it should be very muscular. If you see the car on the road, especially if you see the car driving, surfaces give the impression of much more light. We create this mixture between the precision and the structure surfaces. Nader Faghihzadeh: At the beginning, we started with proportions in conceptual phase of the car, so the following questions were raised: What is the next step for the proportion of 6 Series? What could we do to make it even more advanced compared to the next generation? The current 6 Series was very successful, it came out many years after we had no 6 Series anymore. So, this one should take the proportions even further, the 2+2 concept needed to be stronger and the proportions should be a little bit more exaggerated, more width and more length, and lower. All these together bring a new impression for the architect of the car. BMWBLOG: What gives the 6 Series its own distinct look within the BMW family? Nader Faghihzadeh: The impression of the whole thing is that outside, it looks very fine, very high quality, very expensive-looking surfaces. The front part of the car is very low actually, compared to the body. It doesn’t want to be aggressive to show its power, it has a neutral power. It doesn’t need to cry this power out, but you can feel it has charisma. So we have very sharp lines work in the front and which accentuate the width and sharpness and the lights – as an example, look around the corona headlights. The line-work together with the surface creates a flow of power from the upper part to the surface and onto the front, but also towards the rear. The car has a very elegant rear-end – this is the most fluent rear design we provide at BMW. BMWBLOG: What highlights of the exterior design you are most proud of? Nader Faghihzadeh: At a first glance, you see the technology – for example the full LED headlights because they create the fine surfacing, that is repeated somehow because you see the precise lines and lights, the look of high-tech. Inside, we have high quality design and technology – and this is the best thing we can provide at BMW with our technology knowledge. BMWBLOG: Modern sports car are a compromise between performance, comfort or safety. How does the new 6 Series prioritize these values? Is this car targeted towards more comfort or sportiness? Nader Faghihzadeh: This car is flexible enough to provide everything. We’ll see in the market, we have the individuality, the configurations of the car, and you can let the exterior look as you want to. It also depends on the options you have. The look of the car expresses expensiveness, luxury, elegance. The other thing is that it’s very sleek, the most sleek BMW with the coupe roofline. 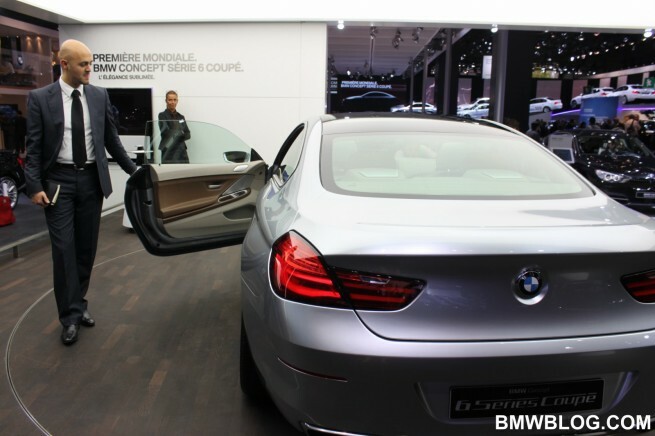 BMWBLOG: The 5 Series is said to be the centerpiece of BMW. Why is the new 6 Series important for BMW? Nader Faghihzadeh: Coupes are always brand shapers. This is a special class. Especially if you use the highest class of coupes, the most luxurious, then you want to see so many of these cars on the streets, so this makes it even more special. And yeah, I think this is what makes it important. BMWBLOG: How did the car evolve from the original rendering/sketches? Nader Faghihzadeh: I have to say from the beginning that sketches have this kind of very expensive looks with emphasis on power, somehow between this complexity and sculptured surfaces. From the sketches, they look always exaggerated, of course, much bigger wheels and lower greenhouse; more sharper lines, more extreme angles and the volumes are more exaggerated. But the car itself, this is something we tried to catch on a sketch and follow, the spirit of the car. BMWBLOG: How much influence did Adrian [von Hooydonk] give into this design? As he was the one shaping the previous 6 series? Nader Faghihzadeh: First, Adrian von Hooydonk was a designer at that time, under the lead of Chris Bangle. And now he has the position of Chris Bangle and I have the position of a small designer who had the honour to work on this car. So he gave a special attention to this car because this is a classy car he really likes. He also mentioned the character, elegance, sportiness of the car; this is something he liked in my sketches. He said ‘this is something I think we should take care of’, ‘it should look from the air perspective very nice, and elegant and the character should be very expensive-looking’. Especially for him, it was important that the car should look very ‘stretched’, very fluent. But I was happy that he added lots in the sense of what is elegance. And I was also happy that we had no big discussions on this car. BMWBLOG: What do you expect to change from the concept to the production car? Apart from the wheels and the side mirrors, is there anything else? Nader Faghihzadeh: What you see is pretty much what we can provide. 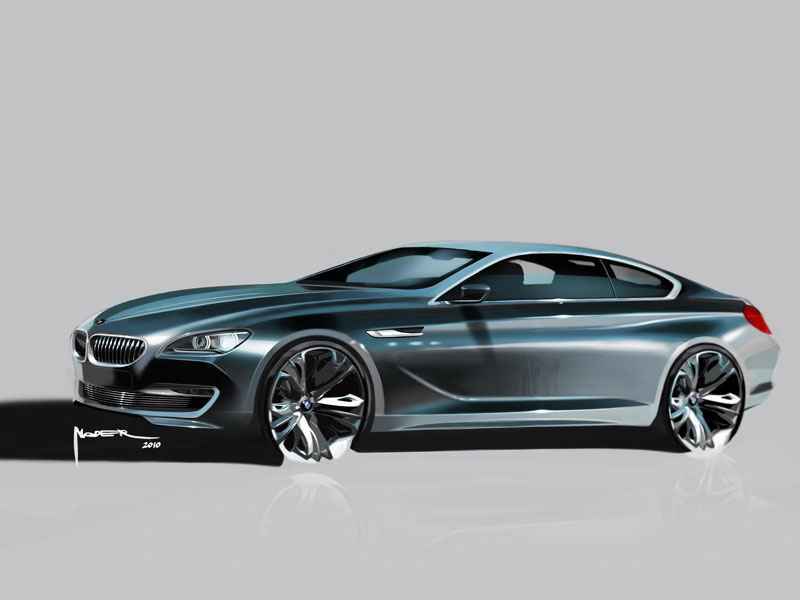 BMWBLOG: With the muscular lines of the 6-Series, what colors do you think emphasize the exterior? Nader Faghihzadeh: I think darker colors would work best, as you saw on the Gran Coupe, it’s the same surfacing as here. I found inspiration in geometry water – that was my personal inspiration, because water has a certain stream, and you bring something destructive, creating geometry. This geometry offers something elegant and timeless. So imagine a shark coming out of the water and opening a wave, and you keep this moment, you photograph this moment, and you try to integrate it in a very elegant, luxurious coupe. That means glossiness on water and fluent elements in general – you can interpret it quite well in exterior surfaces because they are also glossy. And if you see the car in movement, then you will understand why. There is a certain life into this thing and the character gets even stronger. Because the exterior design is always the reflection of the environment, and how you can work on the surfaces – this is the art of exterior design. BMWBLOG: How close do you work with interior designers and why? Why is it important to have a great collaboration? Nader Faghihzadeh: This time around it was more important and as I was involved in designing the interior for the 7 Series, I know how important interior design is for the value of cars, the spirit of the car. If you own the car, the interior is the most important part of the car, you live in the car somehow. So it was generally important because we also have a cabriolet so you need to connect it more, somehow. So it was something like this powerboat tech to sit inside and you have this line work and the fluent line-work in surfaces to the hood, where the BMW starts, the lines try to float to the interior and go back to the rest, so this is the philosophy of this car. BMWBLOG: With all the regulations and safety, what was the most challenging part to design on this car? Nader Faghihzadeh: The elegance – especially if you want lines – it is much harder to accomplish than before. Usually many companies have to fight for this and you have to create some line work to get up or make some wheel arch to hide this thing. Frankly this was the problem; we had to talk to the engineers to get this through. If you see this beltline – it was the hardest thing to get in production, because of the regulations. Actually you need some angles to keep the grid as structural – a lot of hard points. Also the headlights – to make those headlights to come towards the front – this was a new regulation, nearly impossible. So we had some gaps – we looked into what would be tested and what we can do and solved this together. BMWBLOG: Why did you move away from fully round double headlights to more “square-ish” shape? It’s the second time we actually see that, besides the Vision Concept. Nader Faghihzadeh: We have been working on this car for three years, so it was before the Vision Concept. Through this we wanted to create a more precise effect, which shapes the whole impression of the front part. 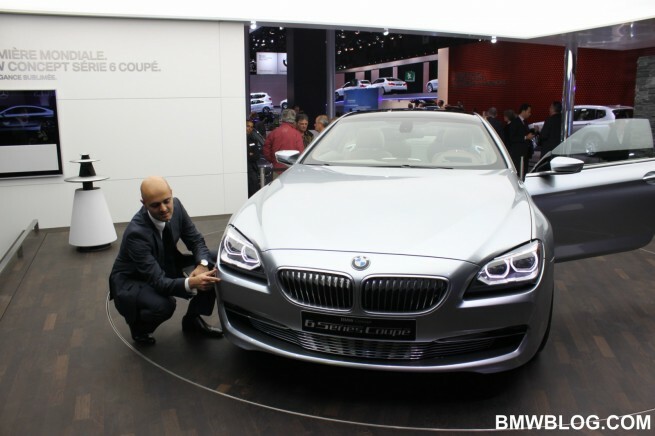 BMWBLOG: Describe the ideal driver of a 6-Series. Nader Faghihzadeh: My impression was to imagine James Bond, Sean Connery, or people who are rich and mid-aged. The same type of customer wants to drive a very luxurious and elegant car that fits their personality and also extends it. 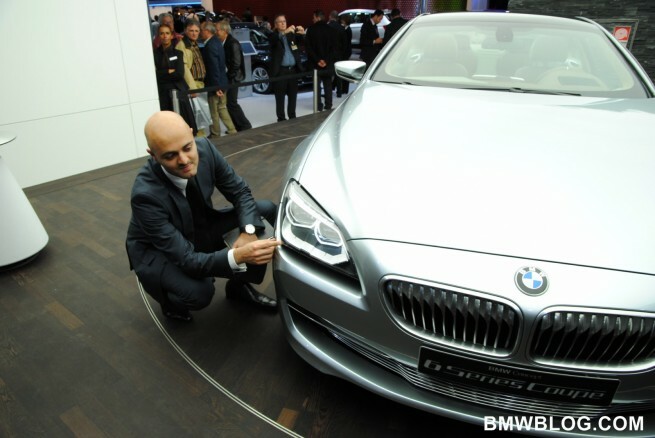 BMWBLOG: Where do you find inspiration for your design? Nader Faghihzadeh: My inspiration was streams as a philosophy. If you think about, if you visualize the streams and aerodynamics of streams and water, or any fluent element, then this moment of the stream, photographed, was my inspiration, because I wanted a beauty which was coming from your eye, creates sympathy for certain things that are natural. Also my inspiration comes from fashion – I wanted to avoid that the car looks fashionable for a certain period, it should be long-lasting. This inspiration is a very long-lasting thing because a car should be 8 years in the market and look fresh for as long as possible. 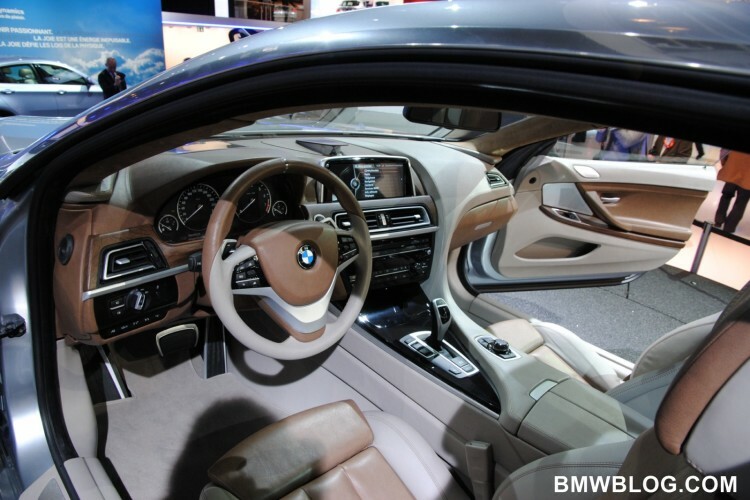 BMWBLOG: For you as a designer, how does it feel to come from designing interior to exterior, and which one do you prefer? Nader Faghihzadeh: I started with Advanced Design Department (Advanced Design at BMW focuses on interior and exterior concepts – internal concepts who prepare the future cars), so there I had a chance to do a concept for 7 Series and then I brought the concept into the production process. At one point, I talked to Adrian and asked him “Can I do exterior again, please? Let me do that.” And he said “Ok. You finish your job with the interior design of the 7 Series and you will get the chance, just try to compete with the team”. Then I was lucky and I won. BMWBLOG: It probably feels good to have two cars on the road now. The 7 Series is the car that pretty much reinvented the interior design for BMW. Nader Faghihzadeh: [Laughing] Yes, it does. BMWBLOG: What’s your favorite BMW of all times? Nader Faghihzadeh: I like the 3.0 CSL, but I also like the historical 2000tii, and the M3 and X6. BMWBLOG: And a non-BMW car? Nader Faghihzadeh: It’s harder…but personally I like the Lamborghini Reventon and Aston Martin DBS. BMWBLOG: What car do you drive right-now? Nader Faghihzadeh: It’s a 3 Series, a 330 model. 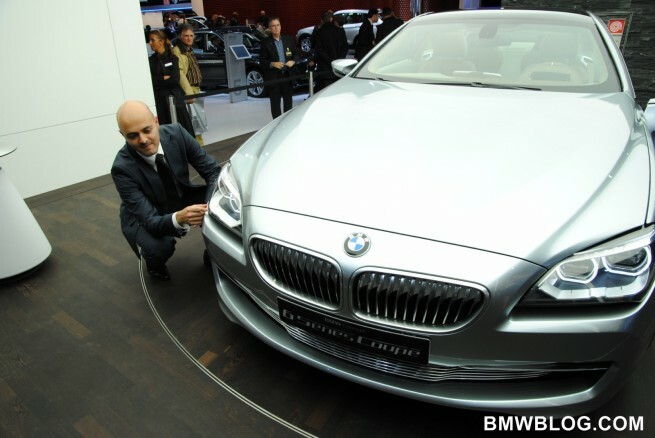 Stay tuned for an interview with Christian Bauer, Interior Designer BMW 6 Series Coupe.